"Pleasant, Well Mannered , Young Man , Who Knew His Job"
"Excellent Job And Resolved The Problem." "Polite, Good Communication, Informative And Speedy." 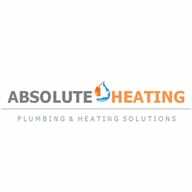 "THE JOB I ASKED HIM TO DO"
"Clean And Tidy And Knowledge Of Job"
Need a Plumber, Heating Engineer, BG Direct Work or Hive Engineer in Swadlincote?